The HDMI Flying Lead is the perfect complement for the Digital Runner when a Wall Plate is not required. 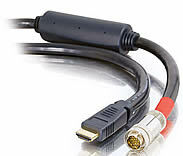 It is most commonly used in homes when connecting an HDTV to different source devices (i.e. cable box, DVD player, video game system). Whether hanging a flat-panel TV in a home or installing a commercial digital signage system, a crisp, clean signal up to 1080p resolution can be counted on - every time. When using the Digital Runner at lengths up to 35 feet, a Passive Break-Away will be required on each end. When using the Digital Runner at lengths up to 100 feet, a Passive Break-Away is required only at the source end. Break-Away terminations are available in either Flying Leads or Wall Plates and are also available in different lengths and colors to meet the requirements of the installation. Use on display end of the Digital Runner on High Speed HDMI systems 50 feet or longer. When using the Digital Runner at lengths from 50 feet to 100 feet, an Active Break-Away is required at the display end. Break-Away terminations are available in either Flying Leads or Wall Plates and are also available in different lengths and colors to meet the requirements of the installation. 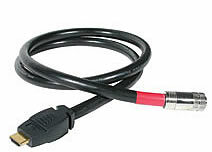 3.5mm Stereo to RCA Stereo Audio Cables are specifically designed to provide quality music transfer. 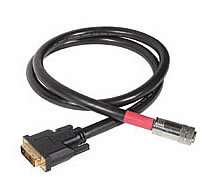 With this cable you can connect a PC sound card, portable CD player, MP3 player, iPod®, or any mini-stereo audio device with 3.5mm jacks to other audio devices with RCA audio jacks. 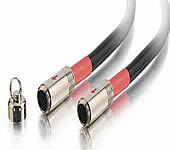 These cables feature two 26-gauge Oxygen-Free Copper conductors, a drain wire, an Aluminum Foil Shield to reject noise, and Nickel plated connectors to ensure a quality connection. The DVI-D Active Flying Lead is the perfect complement for the Digital Runner when an Active Wall Plate is not required. It is most commonly used when connecting a PC to a monitor or for digital signage applications when the source is 50 feet or more away from the display. Whether hanging a flat-panel TV in a home or installing a commercial digital signage system, a crisp, clean signal up to 1080p resolution can be counted on - every time.